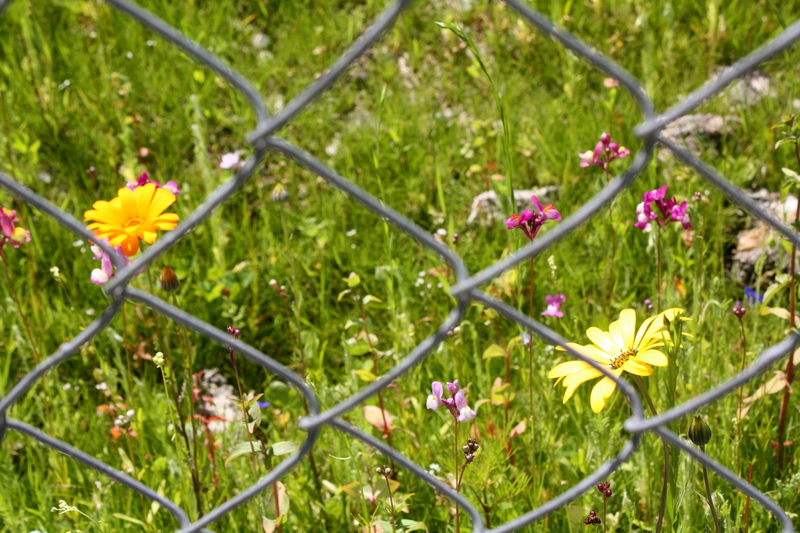 Don’t know if you’ve noticed or not, but the big lot on Harvard behind Joule is covered with wild flowers. I know that the Joule construction workers cleared off the lot when they finished construction, I just don’t know if they are also responsible for the beautiful flowers. If they are I’d love to thank them. If they aren’t, I’d love to thank who ever did. Not terribly exciting breaking news but I was thrilled when I walked by today and saw the colors and thought that other people might take notice if you post something on the CHS Blog. 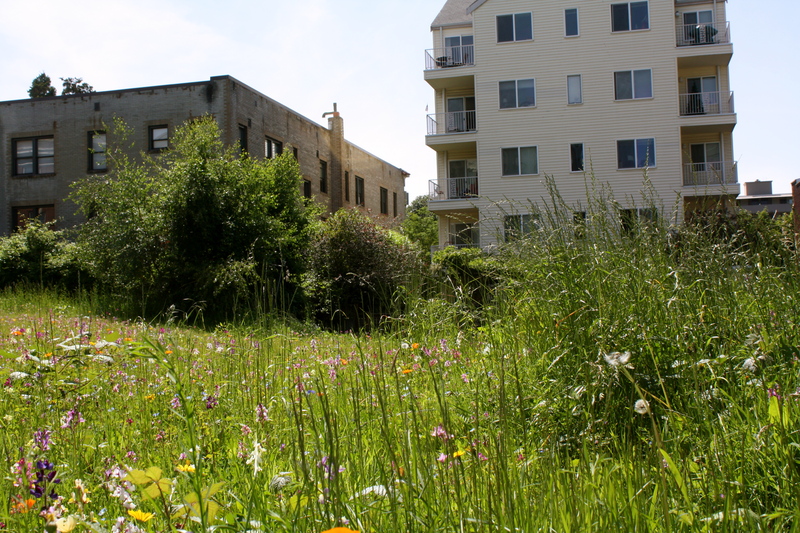 The lot was once planned for the Harvard Commons townhome project by developer Retrovest but with the downturn in the real estate market, those plans have given over to the weeds, forget me nots and poppies. There’s a lot that REALLY needs a cleanup on Melrose between Mercer and Roy too. A ton of overgrowth, and bramble. it’s so bad, the retaining wall is even bowing out over the sidewalk making it almost impossible to pass to use the bike trail around to Lakeview. Love the idea of the flower seeds! I’ve tried it various places on the Hill but never gotten as good a result as seen here. If it’s blocking the sidewalk, it’s a good idea to report the problem if you haven’t already. Info for reporting violations to DPD is on-line at http://www.seattle.gov/dpd/Compliance/Filing_a_Complaint/def. I think this was the Joule clean-up crew. When they were done with the lot I saw them spray a covering of what looked like green felt. I believe this is the results of a seed carpet.